5 Pretty Red Carpet Hairstyles We're Planning To Copy, STAT! Nothing says red carpet ready quite like a feminine and flirty hairstyle to complement your outfit. No matter what your personal style is - loose curls, chic updos or boho braids - we've got you the finest hairstyles, courtesy your favourite Bollywood celebrities. Coz' who else do we trust to keep it classy? Here's how you can recreate these Bollywood inspired hairstyles - AT HOME! Like wearing your hair down? Well, so do Alia Bhatt and Chitrangada! Retro waves are an easy hairstyle that looks great with absolutely any outfit. And you don't need to consult a pro to get the look either. All you need is a wide-barrel curling iron like the Vega VHCH-02 Ease Curl (Rs 1,089). Get the look in 4 easy steps! 1. Section your hair into 4 parts and clip them up. 2. Take one section and divide it further into two more sections. If you have thick hair, sectioning larger parts of hair into smaller sections will make the entire process of curling your hair much easier. Start by wrapping a portion of your hair around the curling iron. Wait for 5-10 seconds and then let go. 3. Repeat the same process on the rest of your hair but remember to alternate the direction of the curls. 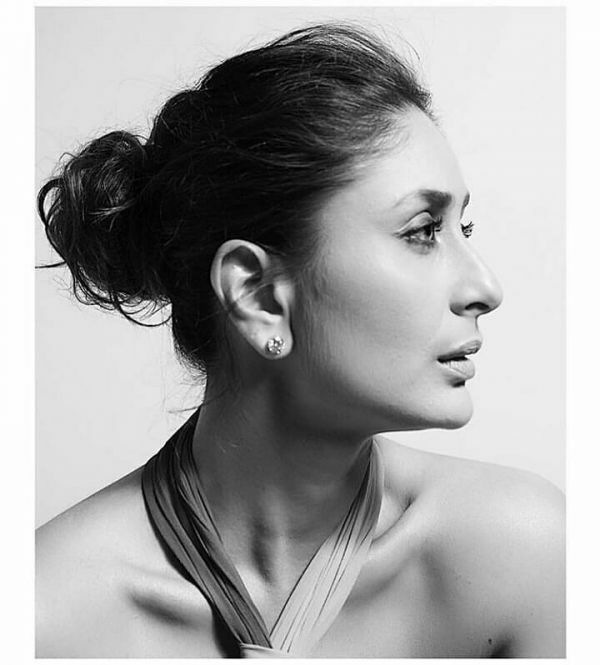 If you prefer to have your hair out of your face, a chic updo like Bebo's messy bun is perfect for you. It's actually one of the easiest, yet effortlessly stylish hairstyles. Heading for a friend's cocktail? This will look great with an evening gown. While the hairstyle looks like you put in a lot of effort, it actually takes less than 5 minutes to put together. Here's how you can get the look! 1. Start by back-combing the crown. You'll need a brush like this one Vega Back Comb (Rs 199). 2. Add some hairspray close to your roots. This will give your hair that volume and texture! 3. Make a loose, messy bun on the back of your head and hold it together with some bobby pins and that's it! Take out a few small sections of hair from your crown and let them hang loose. Bet you didn't think it was going to be THIS easy! While that messy bun looks effortlessly chic on short hair, a braided updo makes you look uber-polished and ladylike. Karisma Kapoor has long, straight hair and if your hair length and texture is similar to hers, a braided updo will look stunning on you. 1. Start by combing all of your hair to the back, use some hair serum to ensure there are no flyaways. 2. Make a braid and secure it with an elastic hair tie. 3. Wrap the braid around into a bun and secure it with some bobby pins. 4. Add some hair accessories to the bun if you'd like! If you prefer a slightly younger, bubblier braided updo, Janhvi's hairstyle is feminine and oh-so-pretty! 1. Start by braiding your hair. Remember to keep the braid loose and low. You want to start braiding from the nape of your neck. 2. Secure the braid together with an elastic tie and wrap it around to form a bun. Pin the bun in place. 3. Loosen the hair on your crown a little bit and take out small sections of hair from the front and curl them. And you're ready to hit the red carpet! Looking for more hair tutorials? Head right over to our YouTube Channel - POPxo Beauty!